Our guide, mechanic and drivers/assistants (Pia, November, Nall and Tam) were superb and made our trip a pleasure. A seriously great team. Always smiling, ever helpful and anticipating all of our needs. Nothing was too much trouble. Incredible. 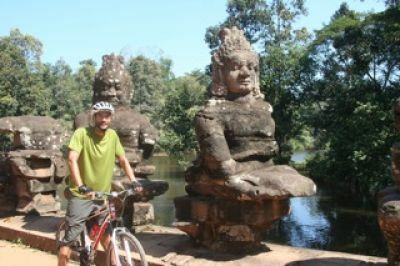 The Cambodia tour was excellent, a lovely country so full of recent history as well as ancient history, easy biking and a terrific team of local guides and drivers. "Heang went out of his way to make sure we had some local experiences which really added to the trip." We had an amazing trip. Mike had used you guys before, for his Tibet trip. He couldn't say enough about you guys. My first traveling excursion out of the country doing anything like this. Your services made it so enjoyable for me, that I am READY and WILLING to do something like this again. I am looked. The employees that were our guides throughout the entire trip in Cambodia, were extraordinary. We connected extremely well, and they were excellent in tending to our every needs, at times before we even knew we had needs. They were great. Our friendship has extended long distance to dropping emails and friending on Facebook, also sending pictures of our experience with one another. Some of the most gracious people I have ever met. Overall the trip was great. The information which was sent prior to the start was solid. Mr. Heang was very thorough during the trip briefing and the daily summary in terms of itinerary, sights and sounds and safety. The bikes were well serviced daily, the food - both restaurant and picnic - was great and Mr. Heang, Mr. Ratha and the drivers kept us safe, sound and motivated, i.e. nothing stood in the way of ENJOYING THE RIDE! 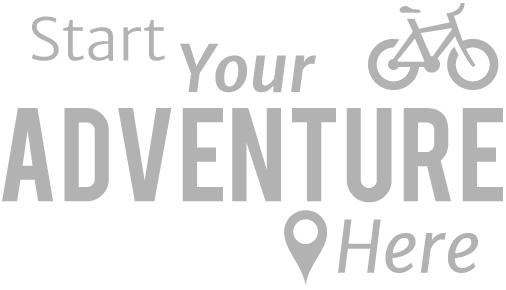 I recommend the trip and the team highly for all levels of experience. Had a fantastic holiday one of my best ever. Excellent leaders, guides and helpers. Had fun throughout the day and saw wonderful sights in Cambodia. Phea was superb and showed us many sights and things we would not have seen on our own. All the team was very attentive. Had a fantastic holiday and really enjoyed it. The team were superb and went well beyond the call of duty. 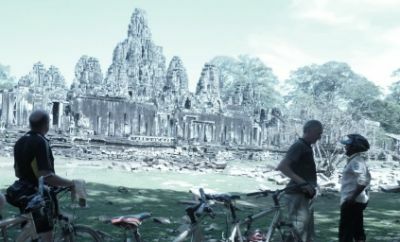 The cycle around the temples was terrific. I have been on several cycling trips in the past, but this was far and away the best! The guides were first class, the people warm and friendly, scenery spectacular. We were all sad to leave and would love to return one day. We have been home a week and are still on a high! All three guides could not do enough for us and Phea in particular was fantastic. The trip was fantastic! Phea is Cambodia and shows off his country with pride, laughter, and knowledge. 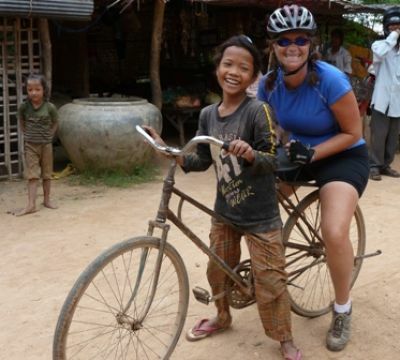 A memory that will last a lifetime is cycling by all the rice paddies and stopping to take photos. Vichika (November) asked if we'd like to try pulling the rice. Chris and I laughingly took off our shoes and socks and got to work. After working in the fields for 10 minutes, I have a new found respect for all the local farmers and learned about rice farming with a new found interest. redspokes isn't about driving by the local culture in a van; it's about immersing people in the culture and experiencing what the country has to offer. Fantastic Trip, outstanding guide Phea and support staff, Nail, Mobithan and Vichika what a team, such attention to detail to ensure total satisfaction. 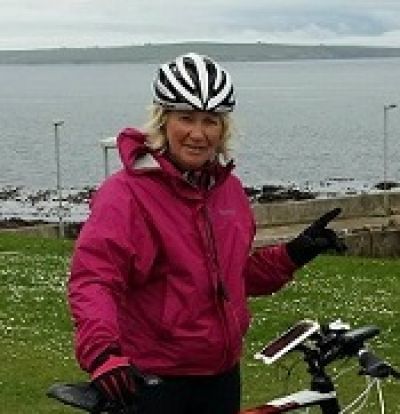 Perfect holiday, great balance of cycling, sightseeing and excellent food. Would highly recommend trip and Red Spokes to all.